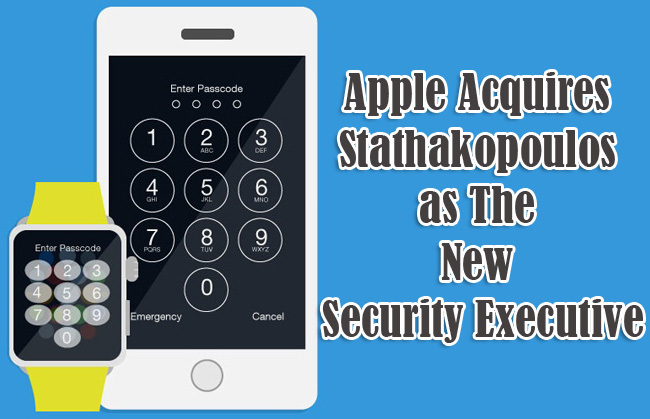 Despite legal battle against the US government, Apple hires George Stathakopoulos as their new security executive. He is a former vice- president of information security in amazon.com and Microsoft’s general manager in product security according to people. Apple refuse to comment on this matter but a reporter who called the company is connected to George’s Office. He will protect the company’s corporate assets like the design of products and software as well as the data’s of customers. Stathakopoulos had a good reputation with his peers when he is still working with amazon since 2010 and eight years with Microsoft where the security has improved for more than a decade. There are reports that he met with the financial officer of apple and he started his new position since last week. This is the company’s way to focus more on their security issues. As of now, they are still facing an ongoing trial against the US government. The FBI investigators are forcing Apple to get an information on the iphone that was used by the San Bernardino shooter Syed Rizwan Farook when he and his wife Tashfeen Malik travelled for 18 minutes after the shooting because there could be clues on the GPS system on his iphone but it was not easy because if you fail to guess the password after 10 attempts, the datas on the phone will erase. Apple on the other hand is refusing FBI’s request because if they will create new software, it will violate its first amendment right especially that hackers are trying to get information on their company and customers. Many are supporting apple like Facebook, Google, Microsoft, and Amazon. They are saying that if the government insists to unlock iphones , it will be more chaotic especially with many pending cases like in San Bernardino. The prosecutors on the other hand said they are focusing on one phone.